The adult teeth are nestled underneath the primary teeth. If decay is allowed to continue to spread in a primary tooth, it can eventually reach the adult teeth underneath. When primary teeth are lost before adult teeth have the chance to erupt, the other teeth end up moving out of alignment, and the adult teeth underneath will begin to erupt crooked. Using dental fillings to make sure decay does not spread is a simple and small way of avoiding larger and more costly dental issues in the future. Unfortunately, primary teeth have weaker and thinner enamel, so they are more prone to cavities—especially if your little one has a sweet tooth! The pediatric dentist at the Orthodontics and Dentistry for Kids often recommend composite resin or tooth color fillings. These fillings are generally strong and resistant to the daily pressures that a tooth may be subjected to, making it an ideal material for this purpose. During the dental exam, your child’s dentist may identify cavities. The digital x-rays used in our office, along with a tooth-by-tooth exam with a dental explorer (dental tool) can help uncover areas of decay. As long as the decay is not too large, in which case it would need a root canal, the tooth can be restored with a simple composite filling. What Are The Different Options For Direct Fillings? For the most part, there are two types of direct dental fillings that are done in our pediatric dental clinics. These are either composite (white fillings) or amalgam (silver fillings). While amalgam fillings are often stronger, composite fillings are more aesthetically pleasing. At our office we only do composite filings. Composite, or tooth colored fillings, match the color and physical appearance of our natural teeth closely and is preferred by most pediatric dentists for restorations made in aesthetic areas. They are also used successfully on molars or other chewing surfaces, as long as the fillings are relatively small. For the most part, both types of filling materials, be it composite or amalgam, can be used to restore teeth that have been affected by decay. At our office we only do composite filings. Getting small cavities filled before they spread can help you avoid the need to get a dental crown on the tooth to properly restore it. If your child is a little nervous about getting their cavity filled, don’t worry! Using sedation, we can make sure that the process is smooth and easy. 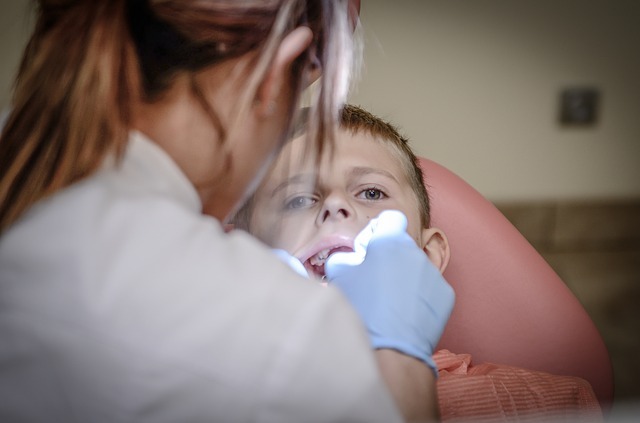 Sedation is particularly helpful when a child needs to get more than one cavity filled. How Are White Fillings Placed Inside Teeth? Before placing any dental fillings in Jacksonville FL, children are made to feel comfortable in the dental setting. Sometimes this is achieved by using pediatric oral sedation or nitrous oxide. The tooth affected is made numb using a local anesthetic, and the decay is removed. The preparation in the tooth is then exposed to acid etch and a resin bonding material before the composite is placed into the tooth. Once the filling is in place, a blue light is placed on the filling, making it hard. Finally, adjustments are made so that the child is comfortable biting. Does It Hurt To Get Fillings? After the initial process of making the child numb, the child no longer feels pain while getting a filling placed. Nevertheless, throughout the preparation process, the child may feel the cold water that is sprayed on the tooth and may also feel pressure. Overall, the process is completed fairly quickly and is mostly painless. After the filling is placed, it is common for some children to experience sensitivity on the tooth. This sensitivity could last up to two weeks, but it dies down with time. How Do You Take Care Of Composite, Tooth Colored Fillings? After having the fillings placed, it is very important for children to maintain good oral habits by brushing and flossing two times a day. This way they can prevent recurrent decay from happening and can keep their fillings strong. For more information on white fillings and when to get them, call our office to set up an appointment today!